Alex Brunkhorst had been working on her manuscript for a long time when a well-known literary agent called it unsalable. It was a crushing assessment from someone so experienced. Alex considered abandoning the book for good, when she happened to bump into a friend who convinced her to try working with NY Book Editors. She spent the next four months revising her manuscript. Alex was one of the most committed, hard-working authors we’ve had the privilege of working with. She turned the story around, and eventually had six agents vying for it. Needless to say, The Gilded Life of Matilda Duplaine turned out to be pretty salable. It was sold in a pre-empt (before it could go to auction) for six figures. Alex discusses what she learned from the process of writing, editing, and figuring out how to sell her book in the interview below. What was the reception for THE GILDED LIFE OF MATILDA DUPLAINE among literary agents? What was the subsequent book deal? I was very fortunate to have an overwhelmingly positive response to the manuscript from agents. 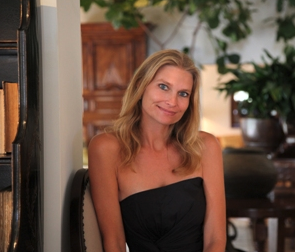 I ended up deciding Michelle Brower at Folio Literary Management was the right fit, and she sold world rights to the book in a pre-empt deal to Erika Imranyi at Harlequin/MIRA. Now let’s go back a little earlier, to when you decided to work with an editor. How did you feel about the manuscript at that stage? I had worked on the manuscript for a long time, and I thought I had piece of writing with a strong concept and some lovely scenes, but it felt like it lacked a cohesive plot and the pacing always seemed off to me, but I didn’t know how to fix that. Basically, I was too close to it. My film agent sent the book to a well-known literary agent who passed on the book because she deemed it “unsaleable” and I was so devastated I almost put it down for good. Then I ran into a novelist friend on the street in Venice, California, who convinced me to give it another try. That’s when I sent it to NY Book Editors. You were recommended by a friend, who had worked with one of our editors, but after looking at your manuscript, we suggested another editor. How did you feel about that choice? My friend is a male writer who wrote a male-driven literary fiction novel, and our readership and narratives are very different. My book has a female audience, is relatively commercial, and I think has a strong “suspend disbelief” aspect to it. 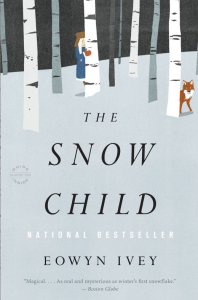 My editor had just come off of THE SNOW CHILD, which was a book that also had a magical realist element and the same target readership, so it was just a perfect fit. Also, I think something that people forget about in author-editor matchmaking is the personality fit. I am extremely self-critical and have a Type A+ personality, so I needed a calm editor who was encouraging and gentle. Andrea was exactly that. Going into the mechanics of the work, how did your editor actually help you? I worked with Andrea for around four months on the book. It was a real luxury to be able to have that much time with her, because we were actually able to tackle the book piece by piece. It was the equivalent of a four month MFA program. We literally started on Chapter 1, and spent at least two weeks on only that chapter. Once I got what she was looking for (more description, more fullness of character, etc. ), then I was able to apply that vein of thinking to the entire manuscript. It got to the point that I would think, “What would Andrea say about this sentence?” There was always a part of the book that, in my opinion, didn’t work, and when we got there we stepped back and mapped it out for a couple weeks before I started writing. Again, I do realize my experience was unique because I was able to work with my editor for such a long time. What was the most difficult part of the editing process? Eliminating those well-written parts of the manuscript I had held on to for a long time but simply weren’t working with the plot. It was like letting go of a bad boyfriend who was really good-looking! What was most rewarding about the editing process? I tend to be overly productive in my life to the point that if something isn’t working it’s easier for me to abandon it and start anew rather than work through it. This was one of the first times that I had experienced flat-out rejection and was able to believe in myself and my work enough to stick with it. It was a huge lesson for me, and it’s made me more resilient and brave in all aspects of my life. Did you notice a difference in your commitment of your relationship to writing while you were working with your editor? I write every morning, so I’m not someone who needed a motivation to write, but I did love writing with achievable goals in mind. I knew when I needed to get pages to my editor, and I viewed that as a real life deadline and stuck to it. I remember going skiing in Aspen during our editing period and trudging to the Starbucks in the snow every morning at 7 AM because I wanted to get my editor pages before I went to the hill. Incidentally, that process helped me immensely in the revision process after my book was sold. We had a really tight schedule before galley production, and I was accustomed to deadlines by that point. How many months did the editing process last before you queried agents? I began working with NY Book Editors in October and I queried agents on Valentine’s Day. How did you end up choosing an agent? When I sent out my manuscript to agents I didn’t sleep for three days, hoping I would get one or two interested enough to represent me. My book is very unusual, and it straddles the border of literary and commercial fiction. I was so fortunate that I ended up with a lot of interest – from all different types of agents, some commercial, some more literary, some who were early in their career, some who had already shepherded authors to the bestseller list. 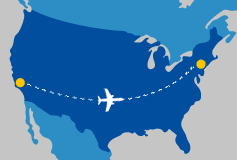 I flew to New York (I live in LA) and I took three days of meetings with agents. The agent choice was the toughest I’ve ever had to make, because I would have been thrilled to work with any of the agents I had the honor of meeting with. I ended up choosing Michelle Brower at Folio Literary. She had called me on a Sunday evening to say that she wanted to represent me, which I took as real dedication. She had a huge enthusiasm for the book and I felt like she was at the right level for me. She had come off some huge commercial successes for her authors but she was still looking for new talent. In addition, she really seemed to understand that for me there was a difference between publishing one book and establishing a career as writer – she got that. What piece of advice or encouragement would you give someone – “someone” can include yourself – who is at an early stage of their career? Luck will often play into success, but the one thing you have in your control is the story you tell. Most of my friends who are successful writers didn’t hit it with their first screenplay, pilot, or novel. It took pushing through failure to get them where they are. Congratulations, Alex! If you’d love a modern day Gatsby tale, take a look at The Guilded Life of Matilda Duplaine. Alex is an unbelievably talented writer and with her inside knowledge of L.A.’s uber rich this is going to be one hell of a ride . Handling your Guest’s Intro Read out loud, to yourself, your guest’s intro 3-4 times, before the interview starts. The word brazen means “without shame,” and it describes how author Leeana Tankersley wants us to live.